In villages scattered across the northern reaches of Spain’s New World empire, remote from each other and from the centers of power, family mattered. In this book Suzanne M. Stamatov skillfully relies on both ecclesiastical and civil records to discover how families formed and endured during this period of contention in the eighteenth century. Family was both the source of comfort and support and of competition, conflict, and even harm. Cases, including those of seduction, broken marriage promises, domestic violence, and inheritance, reveal the variabilities families faced and how they coped. 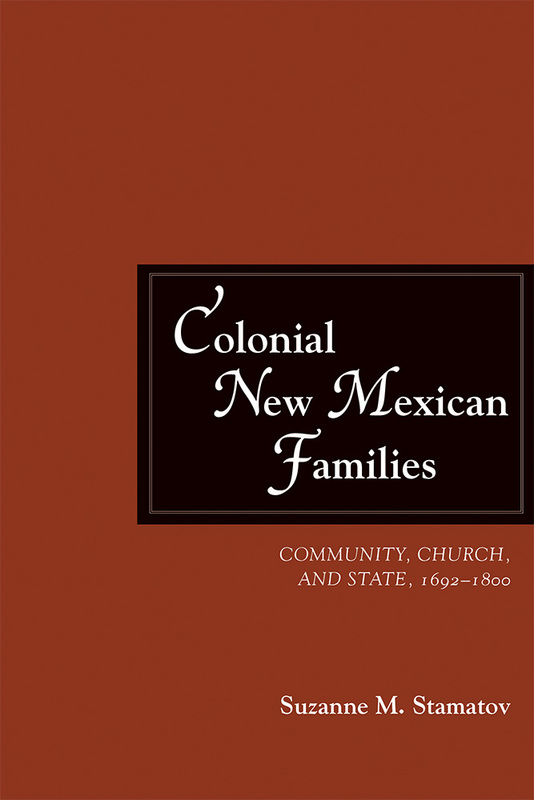 Stamatov further places family in its larger contexts of church, secular governance, and community and reveals how these exchanges—mundane and dramatic—wove families into the enduring networks that created an intimate colonial New Mexico. Suzanne M. Stamatov is an independent researcher living in Santa Fe, New Mexico.